2 x .50 cal fuselage mounted machine guns. Great flight demonstration of P-40B 41-13297. The P-40 was the third-most numerous US fighter of World War II. 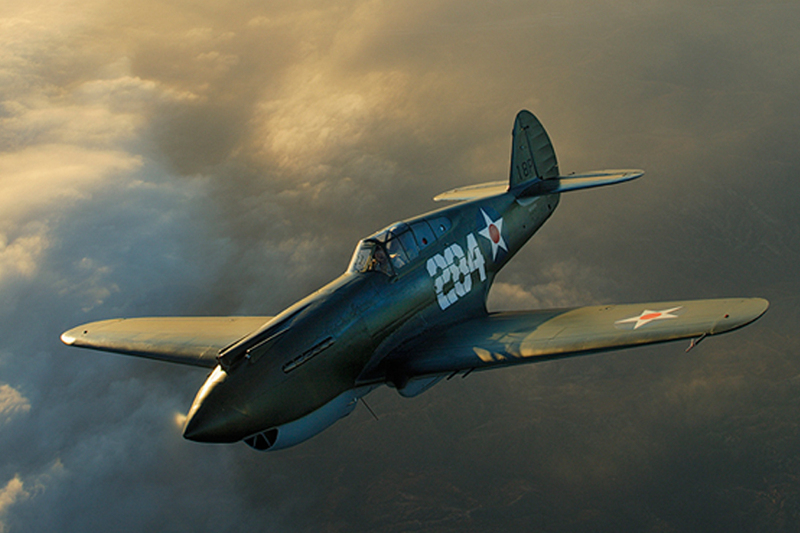 An early prototype version of the P-40 was the first American fighter capable of speeds greater than 300 mph. 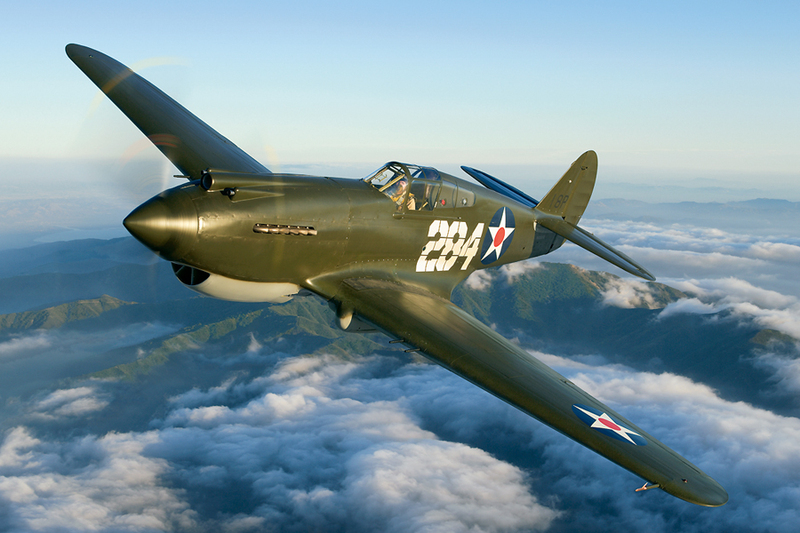 Thanks to a very generous sponsor, the world’s only P-40B and only surviving airworthy American fighter from the Japanese attack on Pearl Harbor joined the Collings Foundation. One of the 131 P-40Bs built at the Curtiss facility in Buffalo, New York during 1940-1941 and allocated the Bu No. 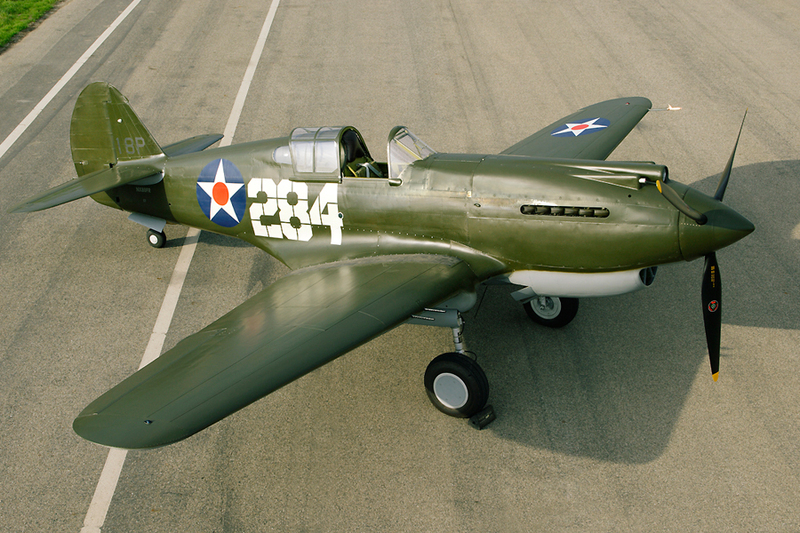 41-13297, this fighter was delivered to the US Army Air Corp in March 1941. It was quickly sent to Wheeler Field, Hawaii in April of that year, becoming part of the 19th Pursuit Squadron of the 18th Pursuit Group. In October 1941, seven months after delivery, this P-40 was involved in a wheels-up landing, requiring her to be placed in a maintenance hangar for repair. This aircraft was still in the hanger undergoing repairs when the Japanese attacked Pearl Harbor on December 7, 1941. 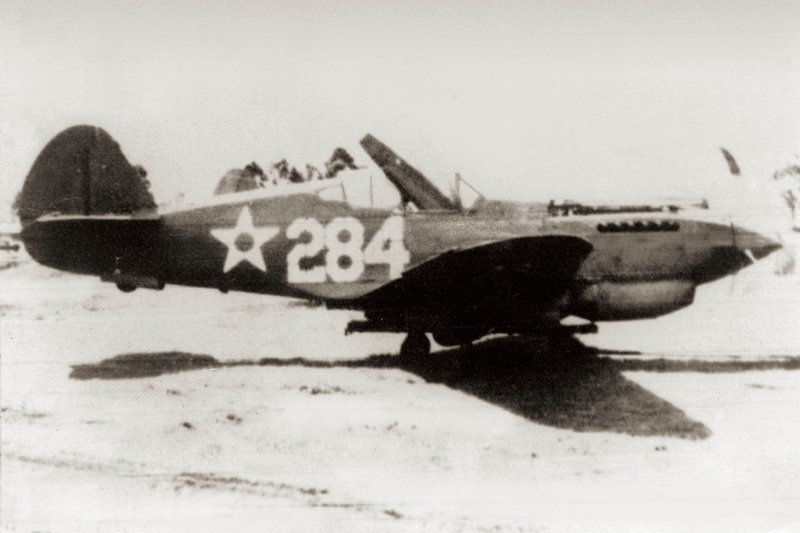 That seemingly minor twist of fate most likely saved P-40B 41-13297 from being destroyed. Following repairs it was returned to flight worthy status. Then, on January 24, 1942, in another ironic twist of fate, with only nine months of service and 56 hours of flight time, while on a routine training flight the plane spun out of control. The pilot, Lt. Kenneth Wayne Sprankle, was unable to recover from the spin, crashing into the side of a mountain, killing him. The crash occurred in a rather inaccessible area of the island. So, after recovery of the body the aircraft was left in place. In 1985 the Tomahawk’s remains were ‘rediscovered.’ After some preliminary investigation, it was determined the air frame was not severely damaged and if it could be removed was restorable. Some parts were recovered during 1985. A second recovery mission in 1989 salvaged the rest of the air frame. Hawaii with the 18th Pursuit Group. Built by Curtiss-Wright Corporation, the Curtiss P-40 Tomahawk was a single-seat, all-metal fighter and ground attack aircraft that first flew in 1938. 13,738 were built from 1939 to 1944. 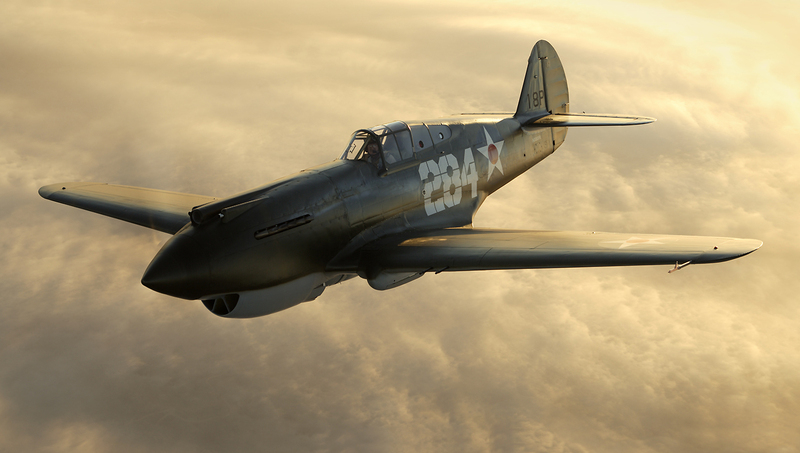 It is the third most-produced American fighter, after the P-51 and P-47. 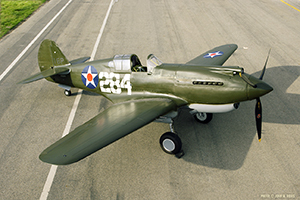 The P-40 design was a modification of the previous Curtiss P-36 Hawk. The design continuation helped reduced development time and enabled a rapid entry into production and operational service. The Tomahawk was used by most Allied forces during World War II. The P-40 remained in front line service until the end of the war. The US Army Air Corps named the P-40 Warhawk. The British and Soviet air forces used the name Tomahawk for the ‘B’ and ‘C’ models and Kittyhawk for the ‘D’ models. The P-40B was powered by an Allison V-1710 and armed with nose and wing mounted Browning machine guns. High altitude combat was avoided in the P-40 due to a lack of a two-stage supercharger. The lack of power at higher altitudes made it very hard to survive against aircraft like the Focke-Wulf Fw 190 and Messerschmitt Bf 109. At medium to low altitude the P-40 had good agility, especially at high speed. It was one of the tightest-turning monoplane fighters of the war, although at lower speeds it could not out-turn the extremely maneuverable Japanese fighters such as the A6M “Zero” and Ki-43 “Oscar.” The P-40 was a very rugged aircraft and could tolerate harsh conditions in a wide variety of climates. Its strong structure enabled the P-40 to survive mid-air collisions and weapons fire that would take down most other Allied and Axis fighters of the time.